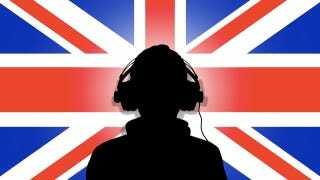 Is the U.K. the world's most advanced country when it comes to digital music? It's inevitable that digital music you access online is eventually going to replace most CDs. But when is the shift going to happen? Apparently, it's happening in some countries a lot faster than others. Over at paidContent, a site devoted to analyzing the economics of digital content, Robert Andrews breaks down digital music sales country-by-country, explaining some of the eye-opening stats that result. One of the most interesting things he found was that of all the countries he analyzed, England had the most competitive digital music market, with "73 licensed digital services operating." Indeed, the U.K. was one of the first countries to pick up Swedish service Spotify, the latest hotness in online music sharing. In several Latin American countries, however, there were almost no digital music services — which meant iTunes was free to rule the market. Though the majority of music sales in the U.S. are digital, European countries cling to CDs because more people are buying classical music. A whopping 73 percent of music sales in China are digital — however, Andrews suggests that this is because CD piracy is rampant in the region, so this skews the numbers. Remember, these are numbers on licensed content only, so they don't account for what you're downloading on BitTorrent and RapidShare. If competition is the sign of a healthy market, and many would argue that it is, we're left to conclude that the U.K. is inching ahead of most of the world when it comes to making digital music available to its citizens. View an interactive map that offers more fascinating statistics on the digital music sales in many countries, over at paidContent. Illustration by Darren Whitt via Shutterstock.